Still love the feeling of striking a match to light your next cigar or cosy fire? We’re sure you’re not the only ones! 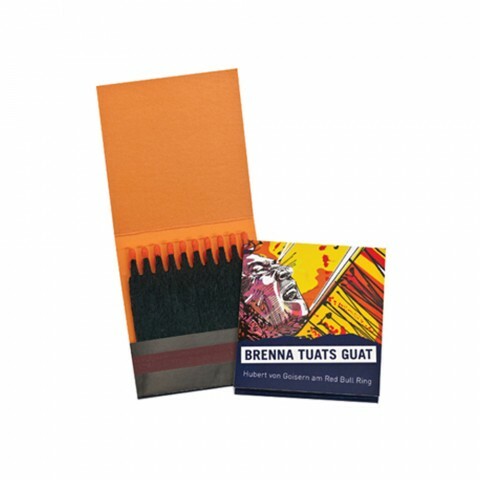 That’s why we put together a selection of promotional matchboxes that can all be customised with your design. Whether you’re looking for a branded matchbox printed top to bottom with your design or chic and simple, there is something to suit every budget. Custom printed matchboxes make a great giveaway item for any bars, clubs, hotels or restaurants as they are small and easy to giveaway. 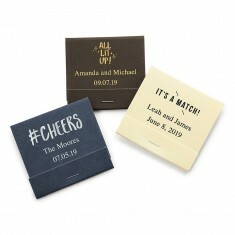 Plus, it is quite satisfying to strike your match to light up your next fire and we’re sure your customers will love their personalised matchboxes for that nostalgic feel. If you’re looking for a compact box to giveaway to clients, try our personalised Rectangular Matchbox. The small rectangular box is easy to store and compact enough to hand out to you clients as they leave your restaurant or bar. All of these products have outstanding print areas to spread your message to all who are close by. 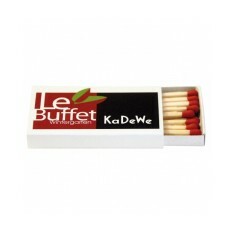 Use our quote basket to find out how much it will cost to your very own personalised matchboxes. Flip up style. 20 matches included. Custom printed in full colour. 100% coverage. 20 matches included. Personalised using spot colours to outer sides. Push out box design. 15 matches included. Flip up style. Personalised to the front cover. Classic red tips. 22 matches included. Branded in full colour. 100% coverage to outer sides. Push out box design. 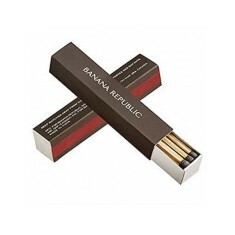 Extra long matches. 10 promotional matches included. Customised in spot colours to outer sides.